Before asking for sponsorship fees from brands, media owners should consider the cost of the products being sponsored - this in itself is a form of payment. We’re often approached by media owners or brands who want to collaborate on advertising - and this is a good thing (don’t get me wrong). But, there’s a catch: the relationship needs to add mutual value for both parties. Often media owners recommend that our clients sponsor, for example, a television programme or series, because they think it will be a good fit for their brand. However, one thing media owners (in particular) don’t understand, are the cost implications of the prizes, which never get taken into account when they structure a package. Radio stations used to do this very well, with a set sponsorship package which stipulated terms like: you need to sponsor R5k per week as well as a grand prize to the minimum value of X, in order to get a three-week campaign where you would get a set number of generic spots, competition spots and competition week. You knew exactly what the value of your prizes needed to be and what media return you were going to get for the prizes. If your prize was valued at more than the minimum value, you then had room to negotiate additional airtime, over and above the standard package. This pricing structure took into account the value of the media. Today, many sponsorships (especially television and digital media) scramble to pull together the actual value of a campaign, by bolstering the package with random things like Tweets, Facebook posts and website banners. The bare minimum return on investment (ROI) of a sponsorship (for it to be worthwhile) should be a 3:1 ratio for both parties. Ideally, media owners should be packaging sponsorships at a 5:1 ratio, to make the sponsorship attractive to the bigger brands. And again, take into account that if your asking for both cash and prize money, you need to factor in the cost of those prizes. When putting together your sponsorship packages, you’ll often quote something along the lines of “the cost is going to be X and we’d like you to give us five cars to use on the show for three months”. It’s as if the cars are just an added bonus on top of the sponsorship fee. This creates an unfair relationship between participating brands - with larger brands “penalised” for having the most coveted product. * DISCLAIMER: The following figures are entirely hypothetical for demonstrative purposes - they by no means represent actual sponsorship costs. Show X is a reality television show where contestants compete for a grand prize. Show X would like a cold drink company and a car company to be part of the show. They approach Car Brand A and Cold Drink Brand B for sponsorship, as they feel these two brands are a good fit for their show. Show X packages their sponsorship fee as 150k for 30 seconds of airtime per week over the three month duration of the show. In addition, Show X would like Cold Drink Brand B to sponsor 1 000 cans of their cold drinks for contestants to drink on the show. Show X asks Car Brand A to sponsor the grand prize: their popular Car Model Y. What Show X hasn’t factored into the equation is the added costs both Car Brand A and Cold Drink Brand B incur over and above their R150k sponsorship fee for their 30 second weekly airtime slot. When putting together media packages, make sure you’re comparing apples with apples. Let’s get one thing straight: there’s a massive difference between sponsoring cold drinks and sponsoring cars. Sponsoring 1 000 cold drinks for a show is a once-off, standard cost (with no depreciating value) to Cold Drink Brand B - let’s call it R15k. The brand does, however, still carry the cost of those 1 000 cold drinks which would otherwise have contributed to their bottom line. Cold Drink Brand B is therefore sponsoring R150k + R15k. This puts their total cost of sponsorship of Show X at R165k for 30 seconds of airtime per week over a three month period. The cars, coming out of a Car Brand A’s fleet, depreciate in value the second they leave the showroom floor - so even if the brand is not sponsoring those cars as prizes, loaning vehicles still costs the brand a significant (and varying - depending on mileage) amount. There’s also additional hidden costs like wear and tear, insurance, fuel, warranty and maintenance costs and so on. By the time the brand gets those cars back, the amount that they’re able to sell those cars for is far below what they would have been able to sell the cars for brand new. These additional costs add considerably to the overall sponsorship cost for the brand - and that’s provided that the cars get given back. In the event that the cars are used as prizes the cost of sponsorship skyrockets through the roof - with the average cost of a B-segment vehicle being around R200k. Now picture what a car is costing the brand. Car Brand A is therefore sponsoring R150k + R200k + the hidden costs of insurance, wear and tear, and so on. This puts their sponsorship of Show X at >R350k for the same 30 seconds of airtime per week as Cold Drink Brand B.
Doesn’t seem very fair when you break it down like this, does it? The sponsors being on board adds as much value to Show X as it does to the brand. At some point, the media industry needs to understand that certain products can - and should, be considered a form of payment by themselves. Even when brands do joint ventures together, the price tags on some products are much higher than others. Often when those two brands join forces, there’s not an equal value to the relationship - and this is when collaboration fails. If, for example, the fairly unknown Cold Drink Brand B teamed up with household name, Car Brand A, what is Cold Drink Brand B able to bring to the relationship? Car Brand A is well known by most of the population - so it’s challenging for the underdog to add mutual value. The value ratio needs to be there. 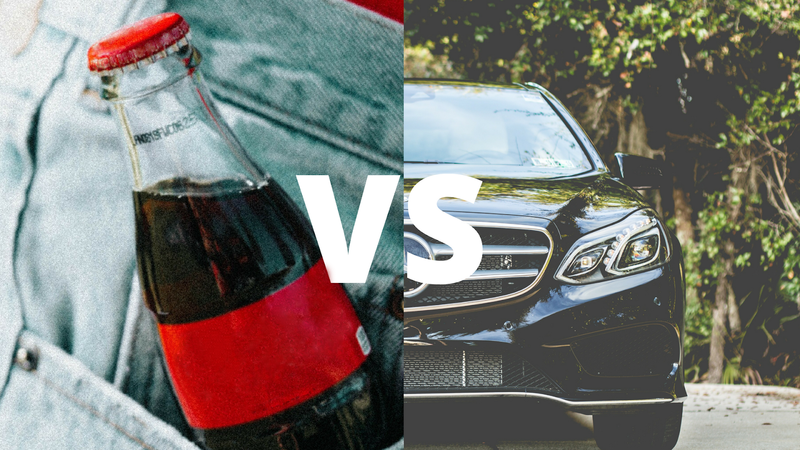 Jumping back to the cost of media placement, your media buy (for a cold drink brand) should be the equivalent of what the cost of the prize (a car) is - otherwise it doesn’t add any value to the other brand (Car Brand A). Both brands also need to get equal exposure and mention - if it’s going to be a joint venture, it needs to be a full joint venture. This means that either Cold Drink Brand B should be sponsoring an additional R150k+ to equal that of Car Brand A or, Car Brand A’s sponsorship of a car as the grand prize should be considered their payment. At the moment, television and digital media owners are not even matching it 1:1 in ROI. Even though you can calculate a value for digital media - it’s not hard and fast like airtime is. There is an absolute, attributed value to a 30 second television commercial, whereas digital media is scalable and there are multiple sources in terms of how to cost that. This is not to say that social media posts have no value - they simply bolster the value. Social media posts can’t be the only value. So, for a joint venture like Cold Drink Brand B and Car Brand A, asking Car Brand A to sponsor the prize in return for a series of mentions on the Cold Drink Brand B’s Facebook page is of little value to Car Brand A. To add value for the larger brand, Cold Drink Brand B needs to back the posts with paid spend of equal value to the prize - ensuring it reaches a large enough audience. Looking for a partner to help you take your brand to new heights? Contact us. Our team of passionate integrated marketing experts will help you put together a marketing strategy that delights your customers and helps you achieve your business goals.